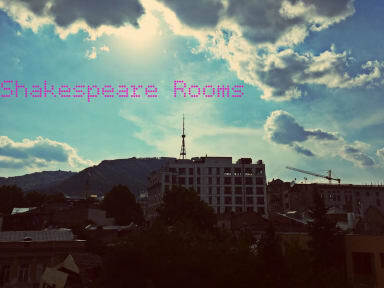 Shakespeare Rooms is super comfortable and cheap place in the center of Tbilisi. Stylish, cozy and friendly atmosphere, 24 hours reception and tour desk (we plan and organize tours with you). We believe that every human being is valuable, that is why we are intolerable towards any kind of discrimination. Shakespeare rooms is LGBT friendly, safe and unique place for everyone, regardless ethnicity, identity and other preferences. Our guests are able to enjoy spacey common areas, balconies with breathtaking views of the city and surrounding mountains. Shakespeare Rooms is located on main attraction street in old town of Tbilisi – On Kote Afkhazi St. Hostel is just 100 metres away from Freedom Square which in main transportation point of the town. Buses, metro, micro-buses all can be found on the square to every direction of Tbilisi. Shakespeare Rooms offers comfortable stay to the guests. Every single room has some vibe in it cause we thought and worked hard and put our heart and soul to make them trendsetting and unique. Hostel offers dormitory room with bunk beds as well as several private rooms (for 1, 2, 3 or 4 persons). All the rooms have mountain, landmark and city views, balconies and air conditioning. 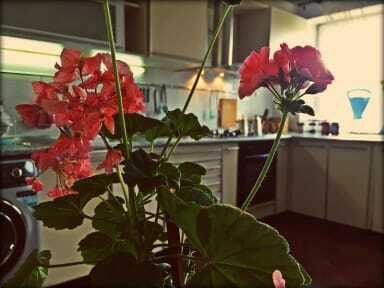 Guest are able to use our fully equipped and big kitchen, dining room and common areas. Reception works 24 hours to make your stay comfortable and assist you in every single matter. Payment upon arrival by cash, credit cards, debit cards. This property may pre-authorsie your credit card.